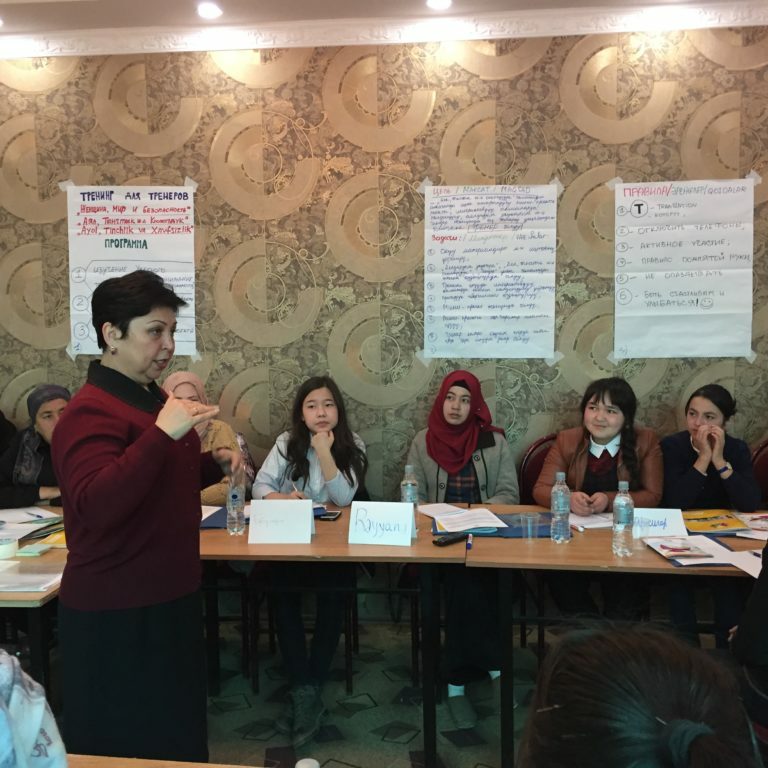 At the end of March “Novi Ritm ” organized a “training of trainers” (TOT) within the framework of the project “Empowerment of Women and Girls in the South of Kyrgyzstan” which has been targeting young people from the three southern regions of Kyrgyzstan: Osh, Batken and Jalal-Abad during 2016-2017. 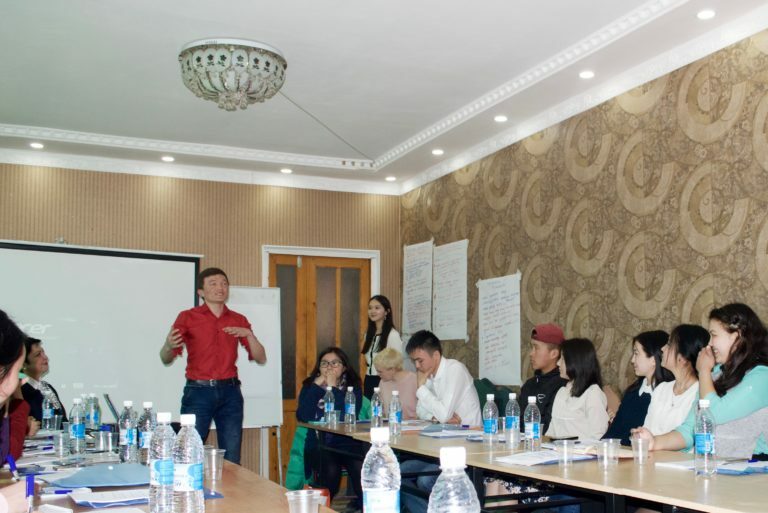 The first TOT was held on March 11, 2017 with participants from the Batken and Osh regions. 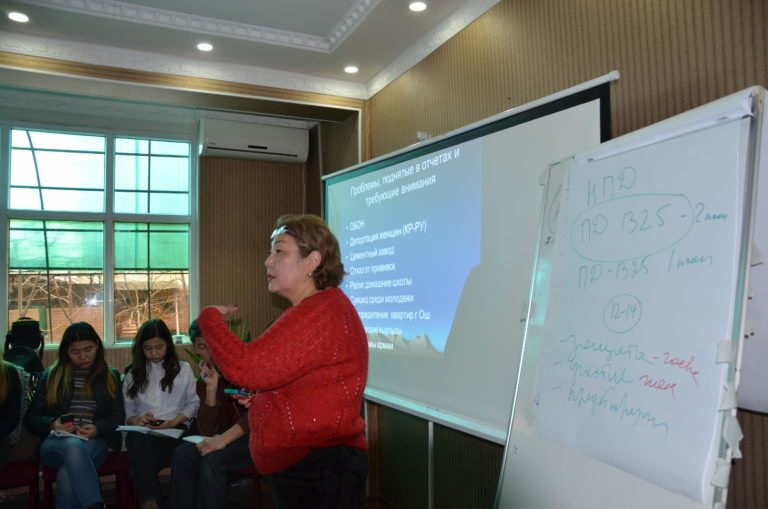 The second TOT was held on March 19, 2017 with participants from the Jalal-Abad and Osh regions. 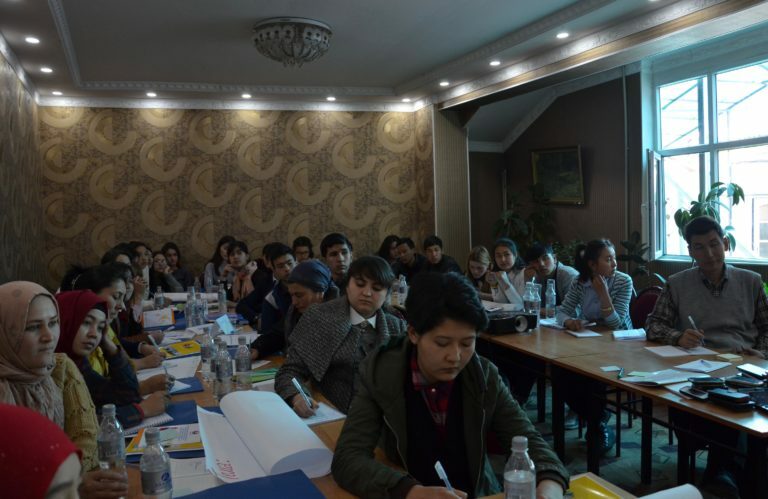 For these TOT’s, 66 participants had been selected on a competitive basis as they represented youth organizations, committees, secondary schools, and youth movements in the three regions. 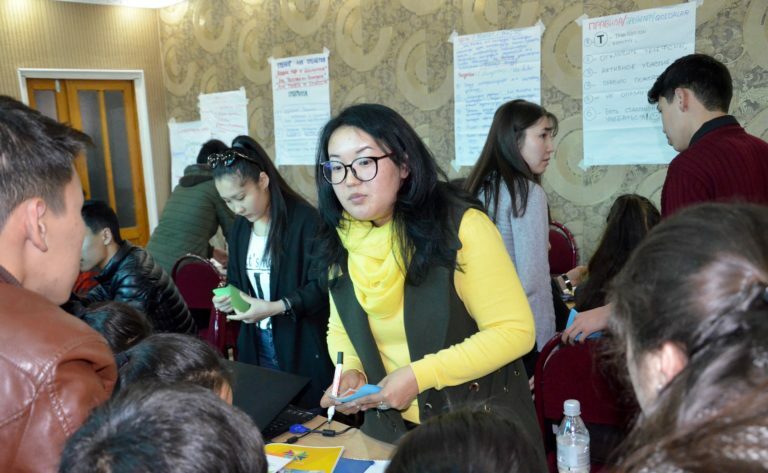 The goal of TOT was to deepen young people’s knowledge of women’s rights, the main international documents on women’s rights, the UN resolution 1325, peace and conflict management, as well as to instill skills of conducting trainings and educational events on selected topics in their hometowns. 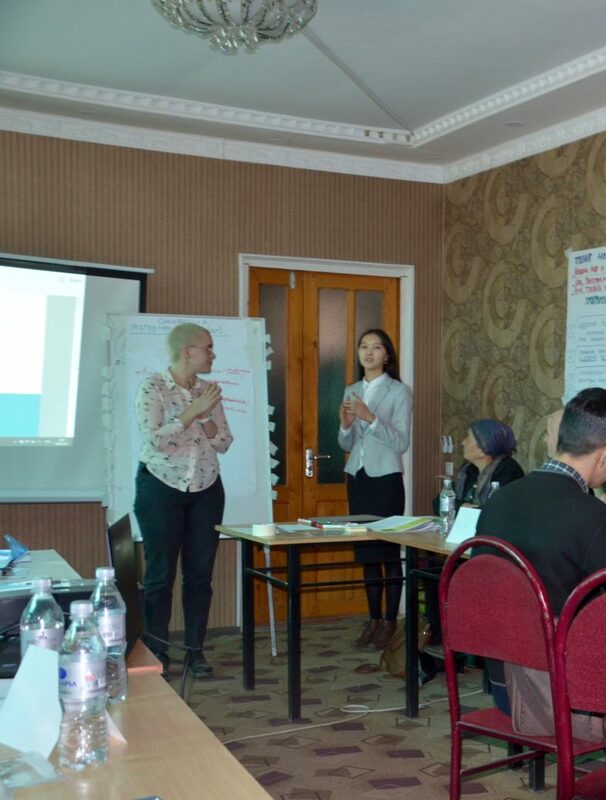 The trainings were conducted in two languages: Russian and Kyrgyz. A short presentation on mini projects was prepared and discussed with the participants. The initiative groups were created; they discussed about action plan and developed it. Evaluating the TOT, we are able to say that the participants received information that will enable them distribute the knowledge to other students and within their community. They will be able to initiate and conduct high-quality trainings on resolution 1325, gender, security, conflict. 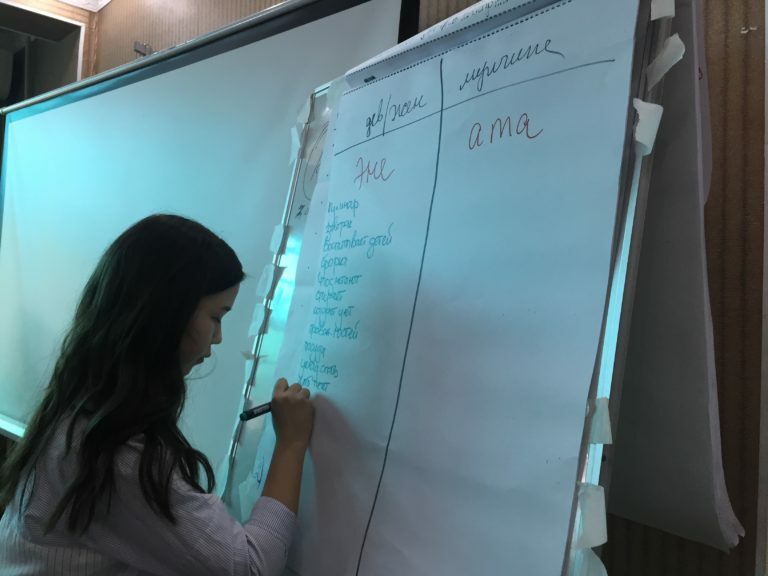 They developed their own action plan and are currently organizing different events on human rights, women’s rights, conflict prevention and security connected to their mini projects.